You can help influence the future of the space program this election year. Will we reach new heights, return to the moon, and make history with a manned landing on Mars? Will America continue to lead in high technology? Or will a lack of leadership condemn America to retreat to second place. To watch as other nations reach for the stars and reap the rewards of jobs, investments, inventions, high tech leadership, national pride and so much more. Those truly are the stakes. The 2012 presidential candidates have not yet developed their positions on space. Some have stated America must continue to lead in space but have not provided any details. Here's where you can make the difference. Contact the campaigns. If you get the opportunity to meet any candidates or their staff, ask them to support a bold space program. Send them emails, sign up for campaign events where you may meet them or their staff. Pass the word to your friends to do the same, and post this everywhere! Post replies you get from candidates and your elected representatives on this page and our Facebook page. Contact your Senators and Representative, as well as all candidates. Read in the COMMENTS link for this posting the statements sent by the Perry and Gingrich campaigns. Just seven weeks after the final space shuttle mission, the decisions to kill the shuttle program before American crew and cargo launch systems are in operation are revealed as reckless. Today, a Russian Progress cargo rocket failed, calling into question when the next crew and cargo missions can occur. Many times this organization and many, many others warned of the dangers of relying entirely upon others for launches. This should wake up Congress and NASA to the need to save the shuttles, and prepare them for "launch on need" in emergencies. Due to inevitable delays while Russia investigates the accident, at today's NASA press conference, an official stated, "If we keep with a 6-person crew, we'll need a makeup flight." That they even consider chopping the crew on ISS is worrying and a predictable result of scrapping the shuttles. Both Russia's crew and cargo launches use the same rocket, and the accident investigation will delay crew launches and returns as the accident until both Russia and the US are satisfied the cause has been found and corrected. There are two cargo and two crew launches scheduled between now and the end of the year. NASA stated that "Progress' Soyuz-U third stage is similar to the Soyuz-FG used for crew, so the program will assess the crew rotation planned for Sept 7 and 21." One question which Russia should answer would be if a Soyuz manned capsule left in the same location successfully re-enter, and thus save the crew? Earlier this year, United Space Alliance offered a serious plan to take over shuttle launches for five year, flying them commercially and supplying ISS for less money than shuttle launches had cost. This offer should be accepted now, or one more Russian failure could threaten the very survival of the space station. Cuts in the space program can set us back a decade or more, allowing other nations to out-compete us in high tech. Senate Republicans: Pat Toomey (PA), Jon Kyl (AZ), Rob Portman (OH). House Republicans: Jeb Hensarling (TX) Dave Camp (MI), Fred Upton (MI). Senate Democrats: Max Baucus (MT), John Kerry (MA), Patty Murray (WA). House Democrats: Chris Van Hollen (MD), Xavier Becerra (CA), and James Clyburn (SC). Call any member of the House or Senate via the Capitol Switchboard: 202-224-3121. The committee must agree by Nov. 23 on $1.2 trillion in deficit reductions, and to pass the bill by Dec. 23. If they don't, automatic spending cuts of $1.5 trillion will occur, divided equally between domestic and defense spending. Most or all cuts will come from non-entitlements, meaning space could be hard hit unless we convince them it is a national priority. See other postings here for additional information useful for lobbying calls and visits. Share this with your friends and anyone who will help too! Let's roll! It's August, and members of Congress are spending a lot of time at home and are more available to meet with constituents at their state/district offices, and at Town Hall meetings. Setting up a meeting with a Representative or Senator or their staff is easier than you might imagine. Call their office at 202-224-3121 and ask to speak to their legislative assistant who deals with NASA. Ask to meet with the member in the district or state office when possible to discuss the importance of the space program as a national priority, that it should be exempted from across-the-board budget cuts and even increased, and discuss how to get manned space back on track. You can go with a group of fellow space supporters too. Take any supportive information with you to give them. If you end up meeting with a staff member, ask the Rep/Sen to send you a letter after the staffer briefs him on the visit. You will find it easier than you imagine to set up such a meeting, and if you tell the staff that you are willing to meet anytime during August at the member's convenience, that will make it easier to arrange. Keep the meeting focused on the subject, don't try to cover every issue under the sun or your efforts to get answers and action on the space program will be diluted. Current debt limit talks indicate many long range spending cuts will be negotiated separately from the debt increase vote, giving us a window in which to get the message across. During August, there will be many "town hall" meetings too, where you can publicly ask questions. Call their office or check their website or Facebook page for town hall dates. You can video town hall meetings but videoing a one-on-one meeting would likely spoil the desired result. Call radio talk shows too: One call can alert thousands or even millions, and inspire others to call and visit Congress too. Numbers matter, let's get a FLOOD of Americans pushing Congress to truly support the space program! Following how debt limit negotiations are proceeding at this point, decisions on long-term spending cuts will likely be considered separately and later than the debt limit increase. The 42nd Anniversary of the humankind's first lunar landing by Apollo 11 on July 20, 2011, followed by the return of STS-135 on the next day, concluding the final flight of a United States Space Shuttle, places a capstone on the remarkable accomplishments of the post-Apollo generations of space engineers, builders and operators. 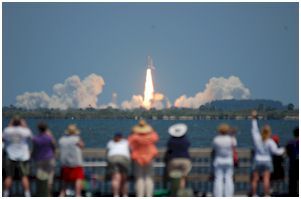 Those of us who were in attendance at the launch of Atlantis on July 8, 2011, felt both pride in this final accomplishment and sadness at another unnecessary, ill-conceived and excessively prolonged break in America's commitment to lead humankind in space. Pad 39A, the Vehicle Assembly Building, and the Crawler Transporter stand in the Florida sunshine as still functional but unwanted relics of past glories. Unfortunately, these momentous events also starkly frame the deficiencies in American space policy relative to long-term national interests. This policy began its slow decline in 1968-69 when the Johnson and Nixon Administrations began the process to end procurements of the Saturn V boosters and spacecraft advocated by Eisenhower and Kennedy for the Apollo Moon-landing Program. The absence of any significant national goals epitomizes current space policy. That policy lacks any coherent strategy to lead humankind in space and promote liberty there and on Earth. Failure of all Administrations and Congresses since Eisenhower and Kennedy to maintain a sustainable, indefinite commitment to human deep space exploration and settlement has undermined America¹s status in the world and the technological foundations necessary for national security and economic growth. We have reached a point where America and its partners depend on Russia for future access to the International Space Station. More critically, we will be ceding the Moon and deep space to China. This should be an intolerable situation to American taxpayers who paid for most of the Space Station and whose Astronauts blazed the trail for humankind to the Moon. President George W. Bush provided the Nation with a space policy in 2004 that met critical geopolitical requirements. If it had been properly funded by Congress, Bush's policy would have created a replacement for the Space Shuttle by 2010 and, more importantly, provided for a return to the Moon on the way to Mars. Mr. Bush, however, did not ask Congress for the funds necessary to fully implement his Constellation Program. Constellation nonetheless could have been executed fully when President Barack Obama took office in 2009, although with a several year delay in the availability of the Shuttle replacement spacecraft (Orion). President Obama, however, soon canceled Constellation, reflecting his personal bias against American exceptionalism and anything identified with Bush. His visions of largely unsupervised private contractors providing astronaut transportation to space and an unproductive visit to an asteroid are just that, unproven "visions" but hardly visionary. In light of increases of trillions of dollars in recent federal government spending, the $3 billion per year cost of implementing a "shovel ready" and "employment ready" Constellation Program appears, relatively, very small. The enormous geopolitical damage to America¹s world leadership role that its cancellation has brought about will cost us dearly in the future. Obama has made NASA largely irrelevant in America¹s future, the next President and Congress must consider how to reverse this damage to national security and to the future motivation of young Americans. The next President must seriously consider focusing United States' space goals on deep space exploration. Until the Space Station must be shut down and deorbited, NASA can continue to be responsible for managing related international obligations. A separate and intense focus on deep space, however, could be accomplished by reassignment of most NASA functions to other agencies and the creation of a new National Space Exploration Agency (NSEA) [see http://americasuncommonsense.com/, Essay 46]. This would be a proper tribute to the sacrifices made on behalf of America by the personnel of NASA and its contractors since 1958. A clear commitment to deep space would also restore America¹s geopolitical will to lead humankind into the future. Harrison H. Schmitt is a former United States Senator from New Mexico as well as a geologist and former Apollo 17 Astronaut. He currently is an aerospace and private enterprise consultant and a member of the new Committee of Correspondence. ﻿Can't make it to see it in person, watch on NASA TV on on TV. Have you ever wanted to watch a space shuttle launch in person? If so, don't miss your very last opportunity, and make your way to Florida for the final shuttle launch. Atlantis (STS-135) is scheduled to launch no earlier than Friday, July 8 at 11:26 a.m. EDT. Rain may delay the launch a day or two, check below links for latest news. ﻿A shuttle launch is a spectacular experience! Kennedy Space Center is sold out of tickets, but check with Dolphin Tours and Gator Tours in Orlando in case they get any more "Causeway" viewing packages. The Causeway viewing area is the very best. If you do not secure tickets to watch it on the Causeway, I recommend watching it at Space View Park in Titusville, FL where you will not only have a great view but will share the experience with a huge crowd of space enthusiasts and you will hear the live launch announcements and countdown. Get there many hours in advance for the best view. There are plenty of other locations up and down the coast which offer good viewing opportunities. Keep up on the news, as the launch could be delayed at any time for reasons of equipment or weather. Each launch "window" usually lasts only for several days, so it if doesn't launch on the scheduled date, attempts can be made for the following several days before being rescheduled for perhaps weeks later. A brilliant description of a shuttle launch from Jason Davis at Planetary.org--read it before launch and pass on to your friends! This is an incredibly vital issue and you'll find other postings on this site providing further information. 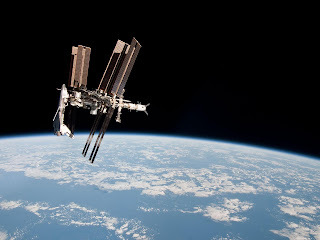 The near-miss by space junk a few days ago, last year's failure of a cooling pump, and (so far) minor micrometeroid damage to ISS and the shuttle all underscore the absolute necessity to have a way to replace large items on an urgent basis. Simply, nothing but the shuttles can in a timely way deliver replacements. 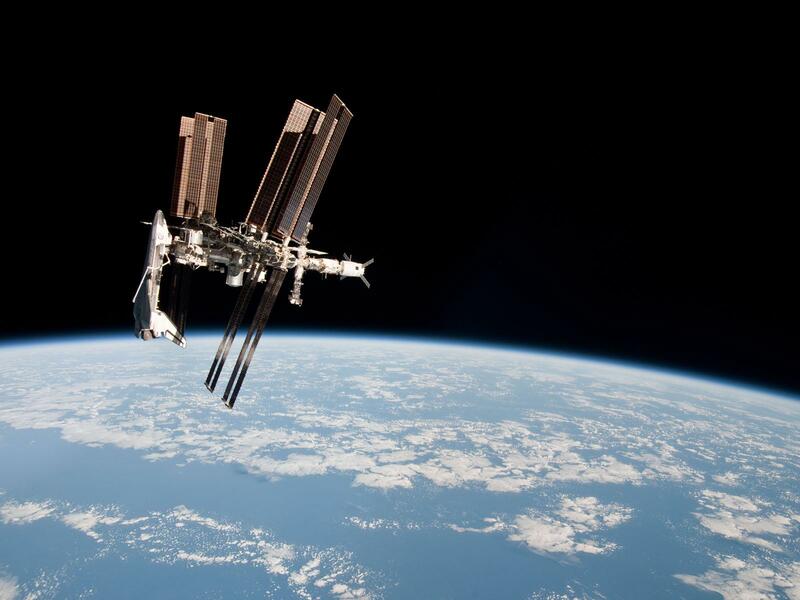 A couple billion a year is cheap insurance for a $100 billion space station. This is making national news--here's the Washington Post's article, but you and I and our associates can help decision makers understand the significance of this issue. I urge everyone to call this letter to the attention of your Senators and Representative, and to spread the word around the web, Facebook, Twitter and everywhere else. We believe that the planned retirement of the Space Shuttle fleet after the flight of STS-135 next month will create an unacceptable flight risk for maintaining safe and reliable operations of the International Space Station (ISS). As you well know, the shuttles are the only spacecraft that can provide independent spacewalks for critical ISS repairs. If an incident or life support failure rendered the ISS uninhabitable, repair spacewalks to restore operations would not be possible from the space station. 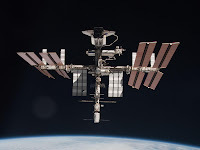 In a worst case scenario, deterioration and loss of systems on an abandoned ISS could result in an uncontrolled, catastrophic reentry with risks to populated areas around the world. This would have significant ramifications to foreign relations and liability for the United States, Russia and the other countries who participate as partners on the International Space Station. The recent near miss of space debris, which caused the ISS astronauts to seek shelter in the Soyuz spacecraft, is a reminder that a catastrophic accident is a stark possibility. The Space Shuttle fleet is the only spacecraft, now operating or under development, that is equipped with the airlocks, life support supplies and robotic arm needed to support the required two-person spacewalking repair crews. We believe the Space Shuttle fleet should be kept in service to provide the capability of independent repair spacewalks in the event that the International Space Station is crippled by a systems failure or accident. The Space Shuttles would also be available to support one or two logistics and science missions per year, provide unmatched capacity to return components and scientific experiments to Earth (with low gravitational loads on crew and cargo during reentry) and extend the reliability of space station operations with a Service Life Extension Program. 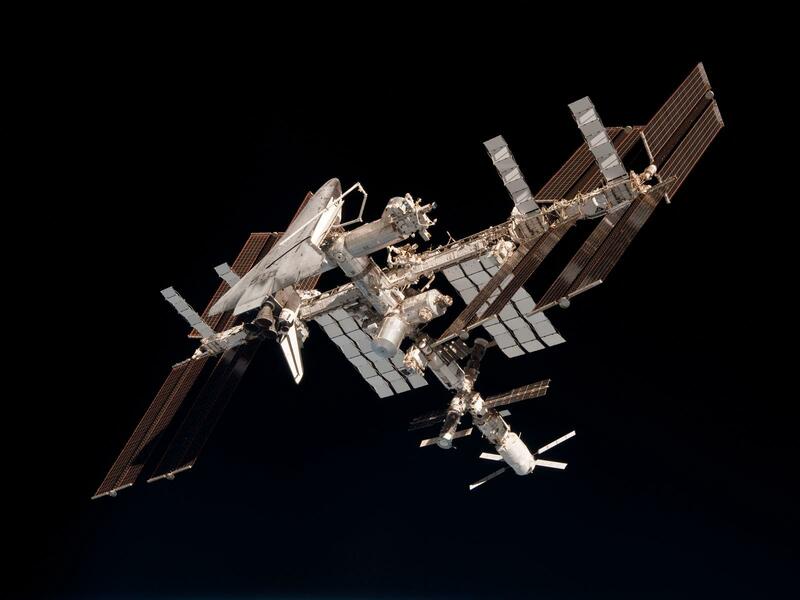 The capability of the Space Shuttles to provide the independent repair spacewalks, critical for restoring operations on a disabled ISS, would also be vital for protecting the ISS cargo and crew transport business of the emerging commercial space industry. Keeping the shuttle fleet in service would also comply with a new, internationally accepted flight criteria that we believe should be established: Any object placed in orbit that is too large for an uncontrolled reentry must have a spacecraft available to support independent EVA repairs. * Congress should request an immediate, 3 week, impartial study and hold emergency hearings on this matter. * In these hearings, Congress should consider passing emergency legislation ordering NASA to halt all work on modifying the Space Shuttle fleet for museum display. Atlantis, Discovery and Endeavour should be stored at Kennedy Space Center in the Orbiter Processing Facility and maintained in such a manner as to keep them flightworthy. Moreover, the Vehicle Assembly Building, Crawler-Transporters, Launch Complex 39-A, Shuttle Landing Facility and other facilities and support equipment needed for Space Shuttle operations should be maintained in place to support future Space Shuttle flights. 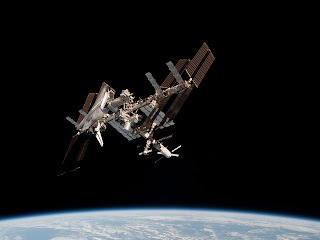 * NASA and its International Space Station partners should consider the shared responsibility of developing funding solutions for the continued operation of the Space Shuttle fleet to ensure the long-term safety of space station operations. NASA led plans, as well as commercial alternatives to operate the shuttles commercially, should be presented to Congress and considered to reduce costs and budget impacts. 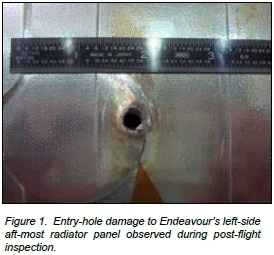 * To avoid any gap in providing independent repair spacewalks as a safety contingency for the space station, Congress, NASA and the ISS partners should evaluate the option of postponing the launch of STS - 135 until more external fuel tanks and other parts can be built to support additional shuttle flights in 2012. 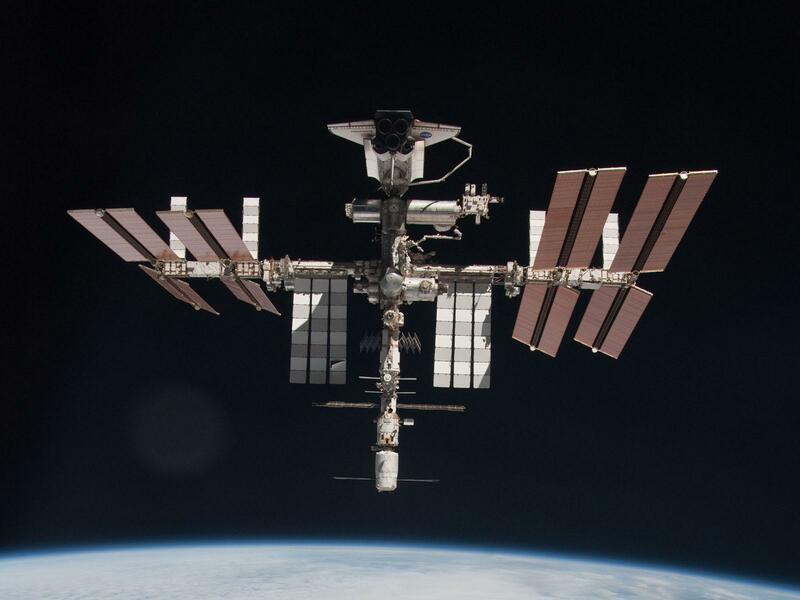 This morning, a piece of space junk or a meteoroid came within just 850 feet of the International Space Station, and to protect the crew they sheltered in Soyuz capsules in case of damage. Space is never safe or predictable, and today's event underscores the risks created should there be damage or a failure of a large component for which there is no replacement. 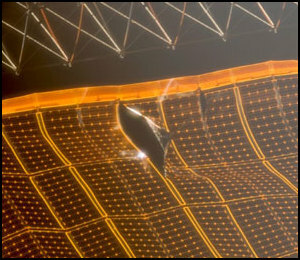 An example might be one or more solar or cooling panels being damaged by space junk. Indeed just a year ago, a large cooling pump failed, and while there were replacements, what if those are used up over the next few years? They are too large to fit in existing or planned cargo freighters, and the logistics of such a launch and rendezvous might take far too long to save ISS. In response to my question to NASA and Congressional experts to the question "What contingency plans exist for launching large and critical replacement items;" the answers I have gotten are that there are no known plans. If any such plans were ever made and just filed away so key people today don't know of them, it is time to recover them so immediate action can be taken if ever needed. Further, having plans but no will to actually use them in spite of the cost and complexity to save ISS in a timely manner would be as bad as having no plans. Immediate action would be needed to fit the item in a payload fairing and with precision rendezvous with ISS so it can be captured by a robotic arm. At the minimum, Atlantis and Endeavour should have been preserved and kept on "launch on need" basis, and the ideal solution would have been to accept United Space Alliance's offer to continue to operate them for less than current costs. Maintaining such an "insurance policy" would cost just a few billion a year, yet it would protect our estimated $100 billion investment in ISS. Congress must demand NASA create--and be ready to implement--contingency plans for launching critical replacements to assure ISS need not risk being lost entirely or having modules closed and crew reduced in the event of an emergency for which a single shuttle launch could have saved the day. Keith Reed cuts through all the phony excuses to reveal the truth. We CAN go to the Moon, Mars and beyond but our leaders just don't want to and just don't care if China and others take over leadership in space and technology. The problem is NOT technological or even budgetary (we could go to Mars for a fraction of bailout or Iraq/Afghanistan costs); the problem IS willpower--Americans can do anything we set our minds to; yet as it stands currently, Americans will never leave Earth orbit absent a dramatic reversal in leadership. "The time between when an American flew the first heavier-than-air flying machine until an American flew solo nonstop across the Atlantic Ocean: 24 years. The time between when an American flew solo across the Atlantic Ocean until an American first broke the sound barrier: 20 years. The time between when an American first broke the sound barrier until an American first flew into space: 14 years. The time between when an American first flew into space and an American walked on the moon: Eight years. The estimated time between when an American last walked on the moon and a man may be ready to return to the moon: 60 years. In all likelihood, as well, the next person to walk on the moon will not be an American; rather, he or she will most likely be Chinese, Russian or Indian. This is a national disgrace." 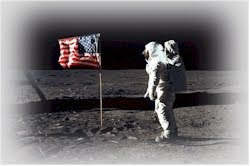 Please read and forward to others his entire article, it's worth it if you are concerned about our nation's future.In other words, it took us 66 years to go from the dunes of Kitty Hawk to the plains of Mare Tranquillitatis, yet almost the same time will elapse between Apollo 17, the United States' last manned lunar mission, and when the next person might continue with this exploration. The author also correctly identifies the Augustine Commission as a turning point from ""We can." to "We can; we just don't want to." Indeed, the entire purpose of the Augustine Commission from the start was was to lay the case for "we just don't want to." Absent a complete reversal in leadership, Americans will never leave Earth orbit again in spite of apparent (but half-baked) plans, and will only watch as the rest of the world leaves us in their dust both in space and economically. Americans do not want our space program to be cancelled, and many polls support this. Below is the latest poll. Please send this to your Senators and Representative, as well as to the President. "In a dramatic new Sachs/Mason-Dixon poll, an overwhelming majority of Americans say they don’t want America’s manned space program to end and they believe the United States should continue to be a global leader in space. The results of the poll follow the recent return of the Space Shuttle Endeavour – the penultimate NASA Space shuttle mission." QUESTION: NASA is close to launching its final manned Space Shuttle and our nation's space program faces an uncertain future with no plans to continue sending men and women into space after 2011. Do you believe the United States should or should not continue to be a world leader in manned space exploration? Absolutely stunning photography! On May 23, 2011, when space shuttle Endeavour was docked to the International Space Station, astronaut Paolo Nespoli took a series of historic photos of the shuttle at the station as the Soyuz spacecraft departed. This sight has never before been photographed together from a distance, and due to the shuttles' premature retirement, will never again be possible. Together, they represent perhaps the greatest technological feat of mankind, and perhaps the most complex machinery ever built. As Soyuz moved away from ISS, the entire station was turned to allow a variety of views to be forever recorded. The station itself was rotated rather than the more nimble Soyuz maneuvered so as to keep the views out of the sun. (click each photo for full size). You can see Endeavour's Canadian robotic arm extended around to her underside, perhaps inspecting tiles for damage. The arm was transplanted before her departure to serve continued duty on ISS. Here's the link for the complete set of photographs. Save them to your computer and you can make them your desktop image. Credit NASA/Paolo Nespoli.